House comprised of 7 flats that has a huge garden. We have just been given permission by the landlord to turn this garden into an allotment for us the residents and produce fresh food, of which there will be too much for us to consume, so all surplus produce we are donating to our local food bank, so our local community can have fresh organic produce too. 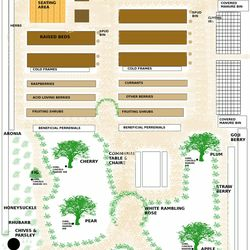 We will be taking delivery of the new polytunnel, seeds, plants, shrubs and trees at the end of this March and beginning of April. We have only just managed to scrap together £500 between us to buy all this. However, we need help with sourcing used sleepers or used scaffold planks or bricks to make the raised beds and don't have the transport to get them either, so that is our biggest challenge with this fresh food project.